The Shops & Restaurants at Hudson Yards, in New York City, will feature at its opening in March a Floor of Discovery: entirely dedicated to the first physical locations of digitally native brands and to experiential-shopping offerings from contemporary retailers. Among the firsts at the 77,000-square-foot Floor of Discovery: Mack Weldon’s very first store; men's apparel brand Rhone’s first permanent store; women's apparel brand Heidi Klein’s first U.S. store; M.Gemi’s first permanent store in New York City (featuring community events and VIP appointment booking powered by Resy); Milk & Honey Babies; Muji (including a custom embroidery station and an in-store coffee service); sock brand Stance; B8ta’s first in-line store in New York City; women's apparel brand Frankie CoLab’s first permanent flagship store in New York City; a concept store from L’Oréal; Uniqlo; stationery specialist Lovepop’s first brick-and-mortar store; Madewell; multibrand lifestyle retailer Batch, and AG Adriano Goldschmied. The food-and-beverage offerings include a new concept from gourmet market Citarella, with dine-in services and expanded takeaway options; The Drug Store (a retail concept from Dirty Lemon parent company Iris Nova that features a bar and a cashierless vending store); and Fuku. The Floor of Discovery will also be home to the 6,000-square-foot Snark Park, a permanent exhibition space from Snarkitecture featuring a triannually rotated schedule of design environments. The Shops & Restaurants, anchored by New York City’s first Neiman Marcus, comprises about a mile of shops and restaurants. “At just over four years old, it’s incredible to see the growth our company has achieved in such a short amount of time, including the expansion of our offline retail efforts,” said Barbara Nealey, director of retail operations at Rhone. “While we have been testing out pop-up and short-term retail for the last two years, we’re excited to partner with Hudson Yards to launch the [very first] permanent brick-and-mortar Rhone retail concept. 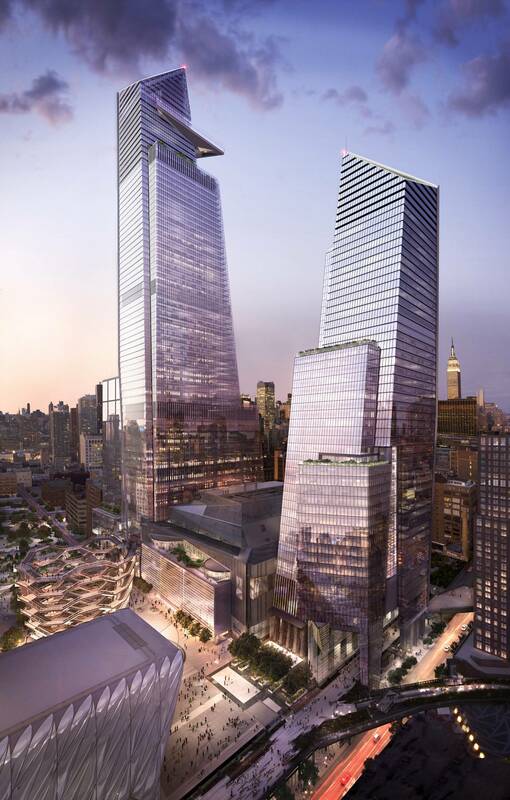 Hudson Yards is a luxury property that offers an unparalleled experience, and we couldn’t think of a better home for the Rhone brand than in our backyard of New York City." Lovepop is eager to bring its concept offline for the first time, says co-founder and CEO Wombi Rose. “The intersection of commerce and technology becomes real in the form of experiences, but those experiences aren’t restricted to only the Internet or the physical world. We switch between those worlds in our everyday life. With our retail expansion, we will be able to connect and fully realize the two."